On April 13 Werner Voran passed away. He was 58 years old. Werner was a musician, artist and record collector but also the main man behind a series of compilations called Prae-Kraut Pandemonium. These comps are the German equivalent to Crypt Records´very influential Back from the Grave Garage-Punk series. Back in the early 90s, when most German Beat Fans were still focused on mainstream “Oldies”, Werner and his collaborators dug up the lost sounds of the German underground of the mid to late 60s, the pre-Krautrock era. The Prae-Kraut series basically put that sound back on the map! Or rather they created this sound and made it cool to listen to. It was their achievement to let a whole new generation of music fans discover the often crude sounds of German amateur Beat bands. Of course the fact, that it was a bootleg series, contributed to the cool factor. But mostly it was the selection of songs – the way they put disparate songs together, that did not have any connection with each other, but made sense in the context of the compilation. 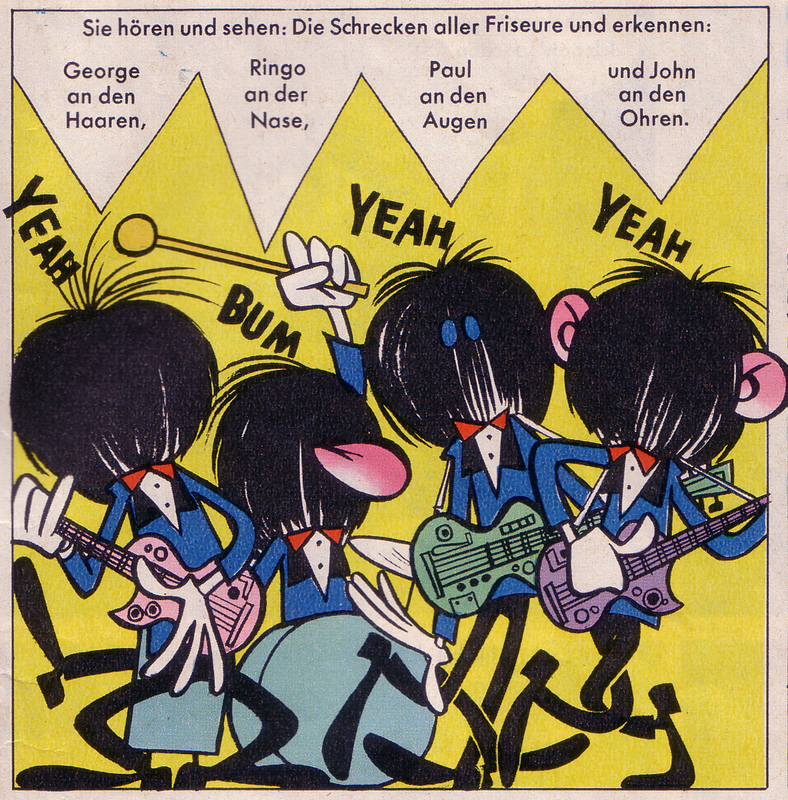 It was Werner´s and his friends own punk attitude and their collector spirit that fueled the series. 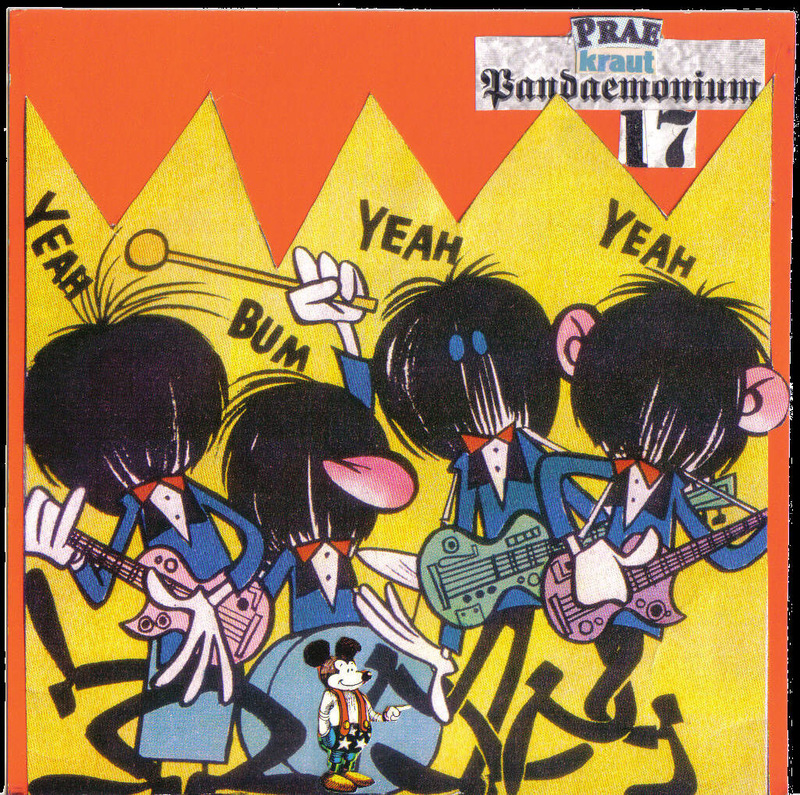 In terms of pure cool and consistency the Prae-Kraut comps remain unparalleled in the history of German re-issue series. When releasing LPs became too expensive the series continued in digital format. Starting with Volume 16 in 2008. Prae-Kraut was released exclusively as RAR files trough Spurensicherung Blog. A fitting name: the way they presented their obscure finds, was like a “securing of evidence”. I felt quite honored, when Werner used one of my scans from a German comic book called Lupo, that I had posted in May 2008, for the virtual “cover” of Volume 17. The compilation can still be downloaded from Spurensicherung. Just last week I found this 45 by Andy Nevison in a local record store and I think it fits the occasion. It wasn´t as cheap as the finds I usually present here, but the record is in excellent condition and it was still nowhere as expensive as it would have been, if I had to bid on it on on Ebay. 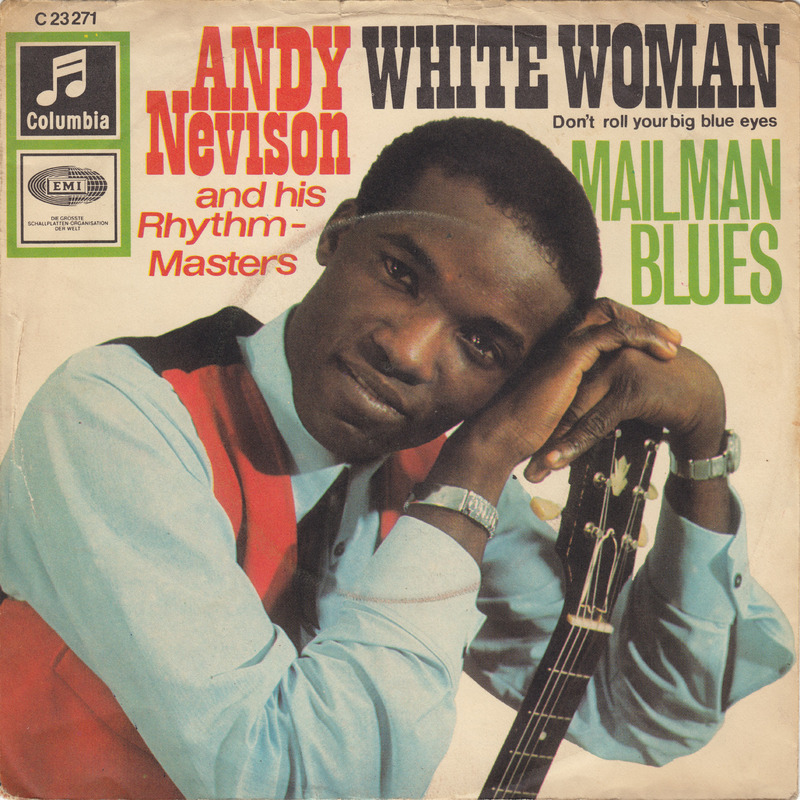 Andy Nevison was born to Jamaican parents and grew up in London. Like many young British musicians in the 1950s, he started to play music in a skiffle band. During his military service he was stationed in Gibraltar, Cyprus, Malta and Germany. 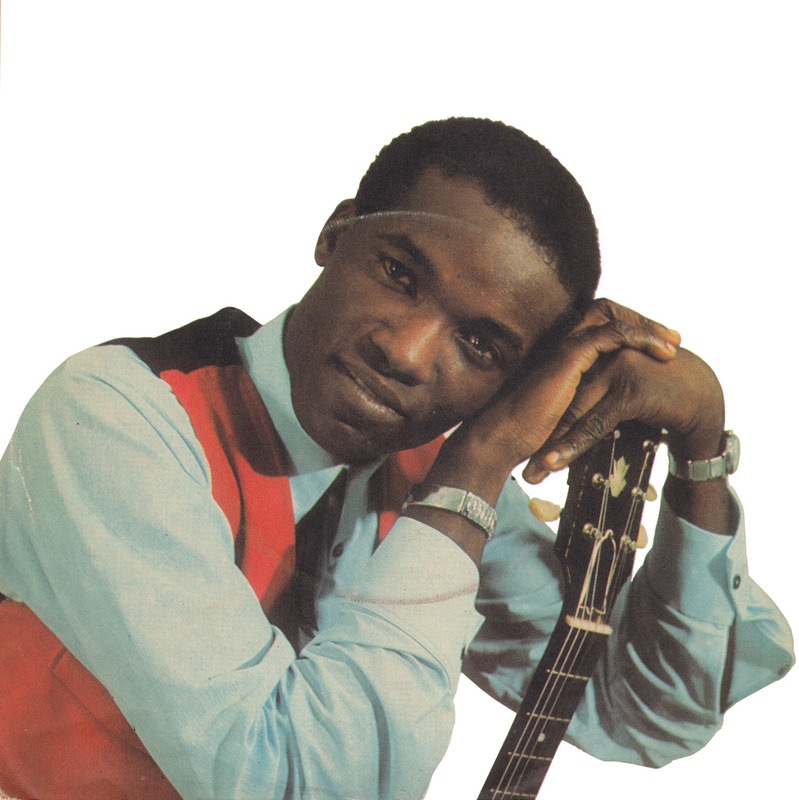 Based in Delmenhorst, he often traveled 130 kilometers to Hamburg, to perform in various clubs, together with musicians like Tony Sheridan and Gerry & The Pacemakers. 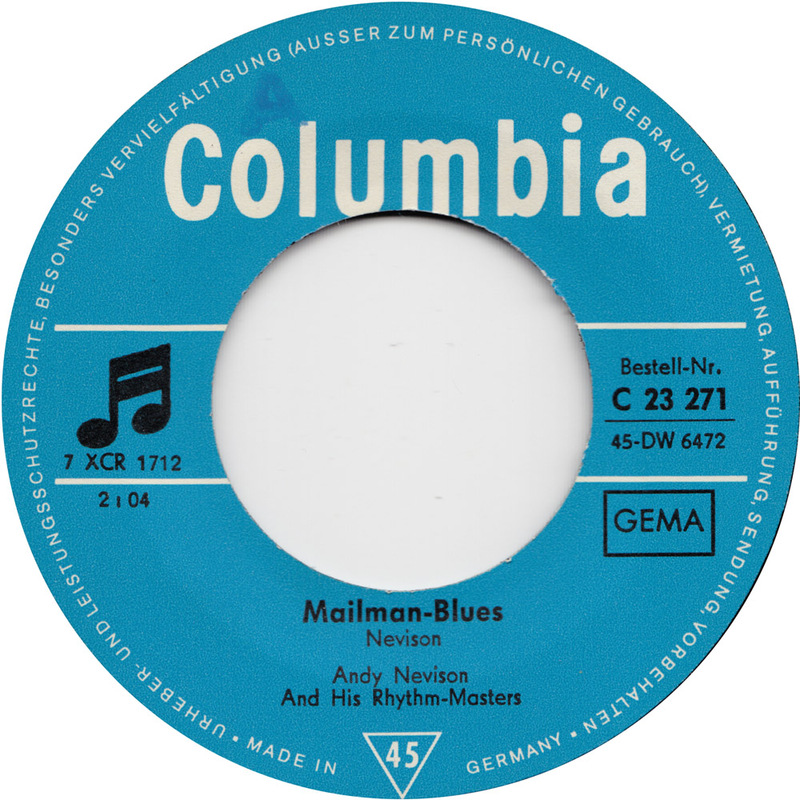 In the early 70s he settled in Recklinghausen and became a fixture in the local music scene playing Blues, Jazz and Rock´n´Roll. In 2006 Andy Nevison and the Recklinghausen All-Stars recorded the CD “Wakado”. Shortly after local occasional journalist Ulle Bowski did an interview with Andy Nevison on his balcony. On March 27 2012 Andy Nevison died in Recklinghausen. He was 74 years old. “.. Ich hab keinen Bock auf den Job, obwohl der Vatikan ja was Psychedelisches hat: Bekiffte alte Maenner mit komischen Hueten reden Bloedsinn und werden dafuer verehrt! Mal schaun, vielleicht mit 80. Bis denn, W “. sorry für die späte Antwort. Ich war ein paar Tage nicht hier. In der Jungle World ist noch ein Text über Werner von mir erschienen. alles Gute Andreas and let’s take good care of our friendship! Die CDs sind eine schöne Idee Werner´s Werk in Erinnerung zu halten. Werner hat ja zuletzt selbst die EP “Töne gejagt und eingefangen” noch einmal separat, digital auf Spurensicherung vorgestellt, eine Auskopplung von Ronald Patrick Guttridge – Beat’n Heart, sozusagen aus PKP Vol.4. 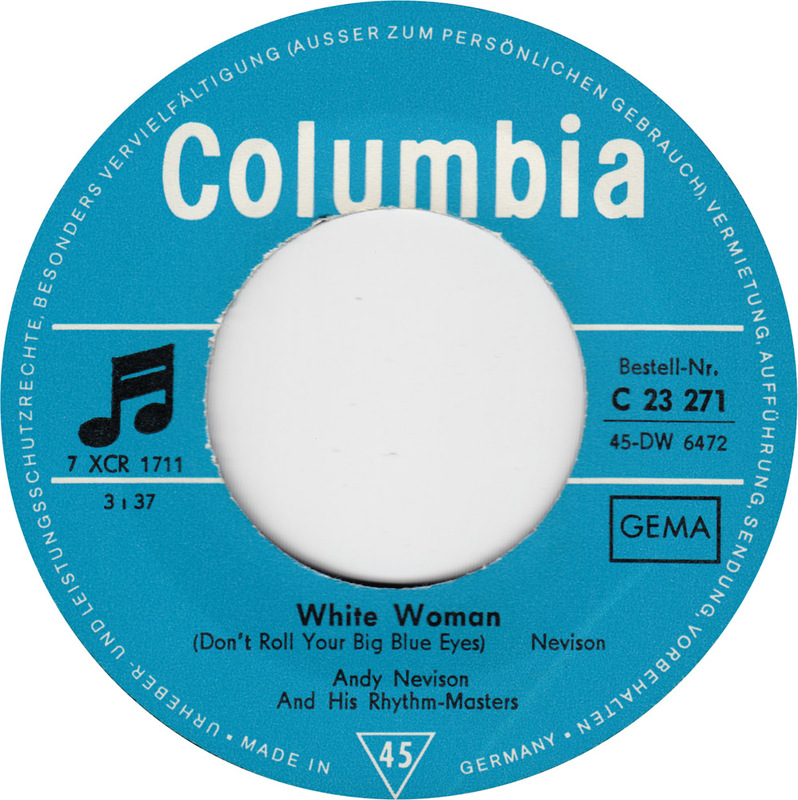 So wie mit Andy Nevison, werde auch ich mal gelegentlich versuchen die eine oder andere Scheibe aus den Prae-Kraut Veröffentlichungen gesondert vorstellen, mit guten Scans der Cover und Labels und Liner Notes von Werner. Eigentlich wäre das eine Aufgabe für eine ganze Reihe von Sammlern – die viel sachverständiger sein müssten, als ich. Aber die meisten Sammler sind sowieso zu faul und feige, oder labern sich lieber einen ab in irgendwelchen Foren. Vielleicht könnten ja wir beide was in der Richtung zusammen machen. halt steif und stay cool! I can tell that you been out on the street. don’t roll you big blue eyes at me. in a glass of ??? 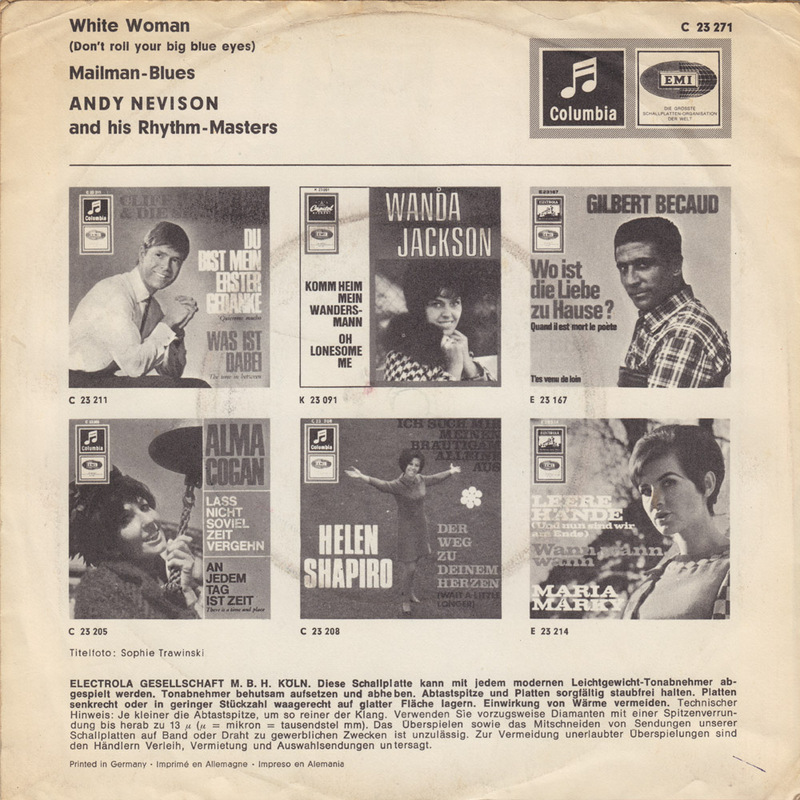 Das Lied “White Woman (Don´t Roll Your Big Blue Eyes), 1966” ist eine Coverversion von “Don’t Roll Your Bloodshot Eyes At Me” von Wynonie Harris, mit dem er 1951 in den R&B-Charts war. Kann man sich auf youtube anhören.